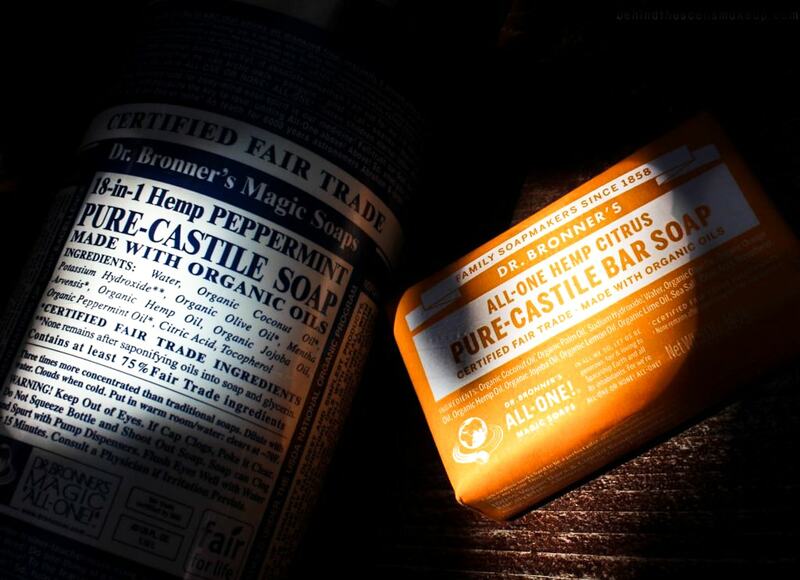 Ok, so normally I would not write an entire post about soap, but Dr. Bronner’s is a brand I’m excited to showcase. From the local community levels to a global scale, they are making a huge difference in the world and are the epitome of a true, eco-friendly brand. As consumers we vote with our dollars, so keep reading to discover why this company is worth supporting. I love supporting brands with a low environmental impact, and Dr. Bronner’s is the poster child for sustainability. All of their products are biodegradable and vegetable based, so they decompose naturally. Their containers are made from 100% recycled materials which able to be re-recycled once you use them. The company purchase their ingredients from certified organic growers and none of their oils contribute to deforestation. They are proving that palm oil does not have to be destructive to the environment and that sustainable options are attainable. 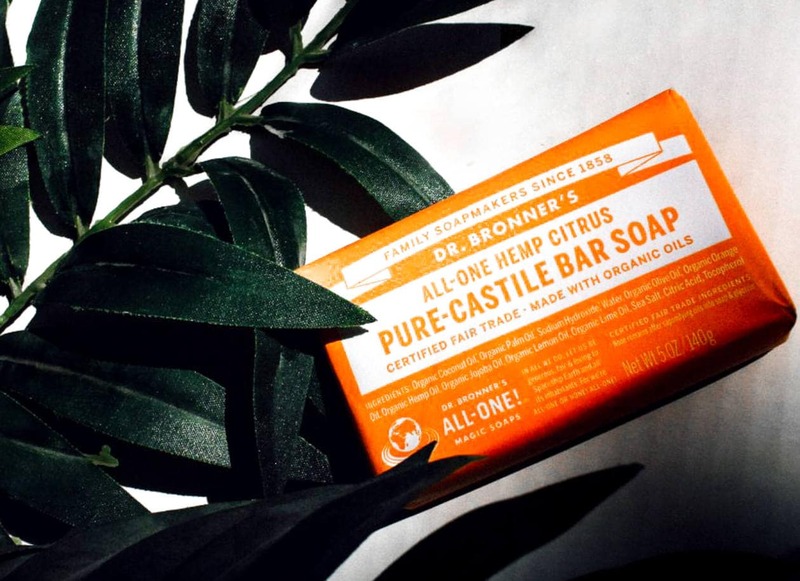 Dr. Bronner’s has successfully built their own fair trade program for this ingredient, and all of their palm oil is harvested from sustainable farmlands in Ghana. Since 2006, Dr. Bronner’s has been committed to sourcing their major raw materials from Fair Trade projects across the world and they are members of several Fair Trade advocacy organizations. By getting their materials from certified Fair Trade projects, it ensures fair prices, fair wages, fair working conditions and community benefits for the workers and their families. Dr. Bronner’s gets their coconut oil from Sri Lanka, their palm oil from Ghana, and their olive oil from Palestine and Israel. They go to India for mint oil, Kenya for avocados, tea tree and coconut oils, Ecuador for sugar cane alcohol, and to Zambia for beeswax. An estimated 10,000 people around the world benefit directly from Dr. Bronner’s various Fair Trade projects. 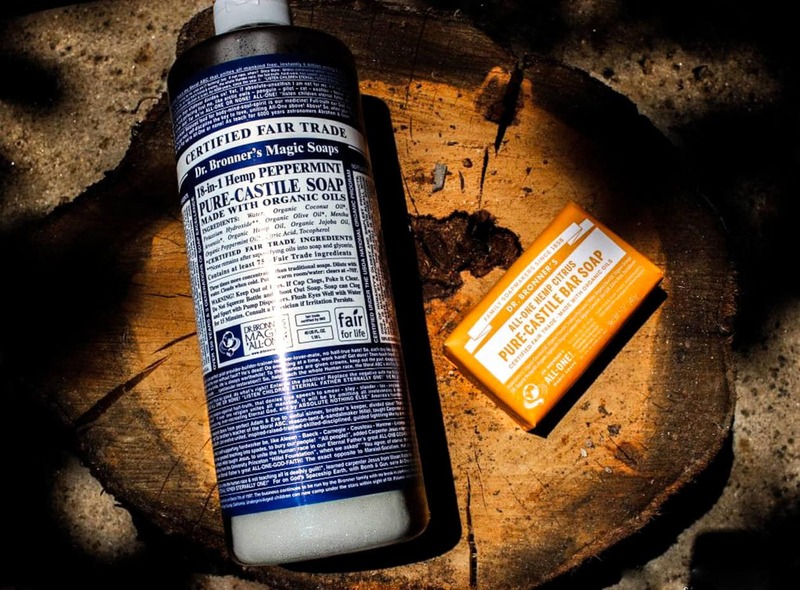 In addition to being good to the Earth, Dr. Bronner’s is also a supporter of animal rights. They are “leaping bunny” certified, meaning that they are cruelty free. The company’s president is vegan and animal welfare is one of the main issues that Dr. Bronner’s supports. Last year a portion of their sales went toward Compassion in World Farming, the world’s leading farm animal welfare organization. They ended up raising over £25,512 to support the work Compassion in World Farming is doing. Dr. Bronner’s German and Australian partners recently teamed up with one of my favorite organizations, Sea Shepherd ( a marine wildlife conservation organization). They began working with Sea Shepard by supplying soap to three Sea Shepherd ships for 2015 Faroe Islands Pilot Whale Defense Campaign. Since then, they have continued to provide soap to Sea Shepherd ships docked in Germany, the US and Australia. None of their products contain synthetics, detergents, thickeners, preservatives, dyes, whiteners or harsh chemicals. Dr. Bronner’s advocates on organic and Fair Trade standards, agricultural hemp production, GMO labeling, cannabis policy reform, animal welfare, youth programs, as well as consciousness study & development. They support peace and human rights campaigns, anti-poverty initiatives, and they promote social justice and equality. They also work on projects such as building schools in Mexico and orphanages in Haiti , and China they help with organic farming projects. Dr. Bronner’s has donated over 1,200 acres of land to the San Diego County Boys and Girls Club, and they support their local food bank and other charities in the San Diego area. 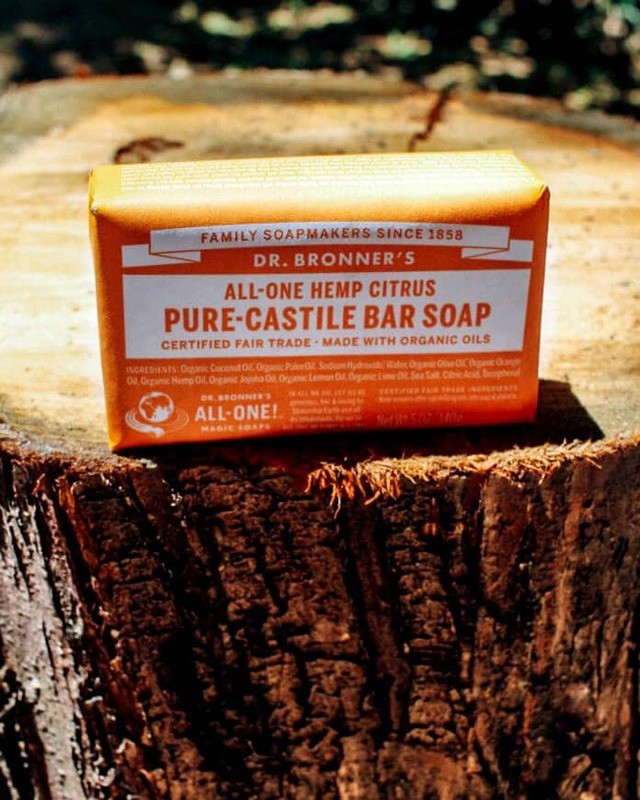 Dr. Bronner’s has been a pioneer in USDA certified organic personal care products and they still actively fight for organic integrity in body care. Since there are no real regulations to prevent a company from using the word “organic” to describe their products, many take advantage of this loophole and will claim they are organic, when they are not 100%. 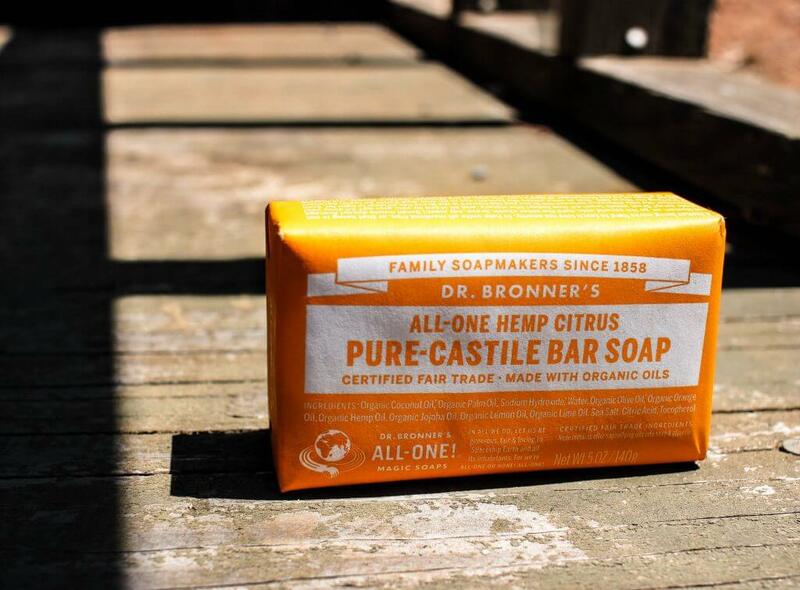 Dr. Bronner’s has played a crucial role in making sure that body care products must be certified in order claim Organic when sold in Whole Foods Markets as well as cooperatives organized under the National Cooperative Grocers Association (NCGA). 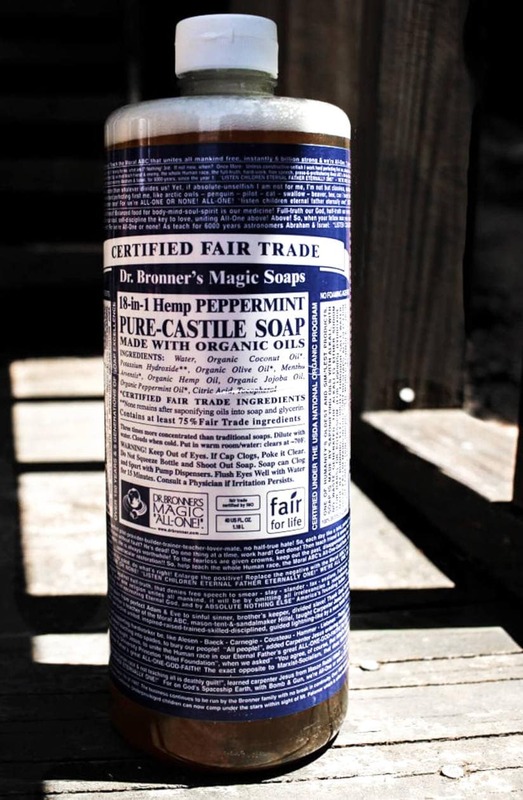 NOW LET’S TALK ABOUT THEIR SOAP..
Dr. Bronner’s Peppermint soap is one of the top OG products in my beauty routine. It’s something I’ve had in my shower since I was a kid and my mom has been using it since 1975! The 18 in 1 Pure Castile liquid soap is like gold and with 18 suggested uses, it’s an amazing all in one product for your travel bag. It’s also is extremely concentrated so you can pack a travel sized bottle and dilute it as you go, making it last forever. 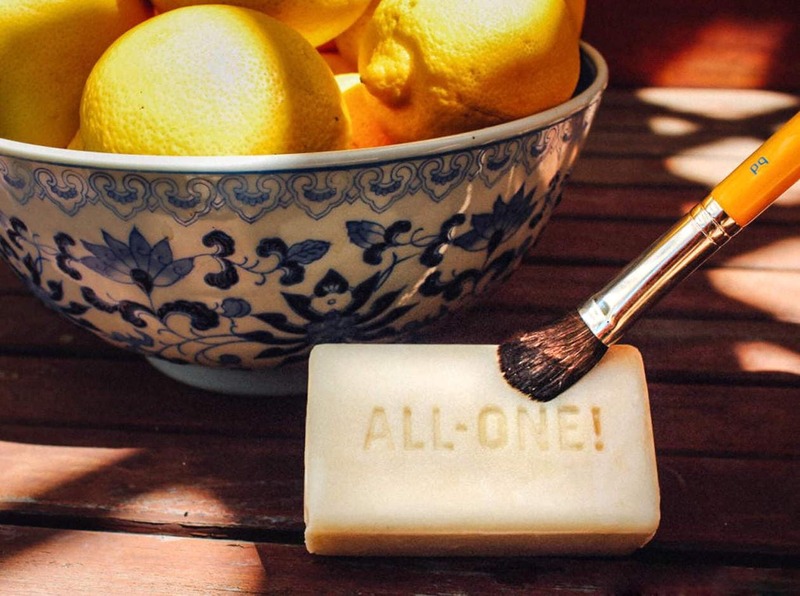 Not only do I use their liquid soap everyday in the shower, I’ve also found that their bar soap is excellent for cleaning makeup brushes. 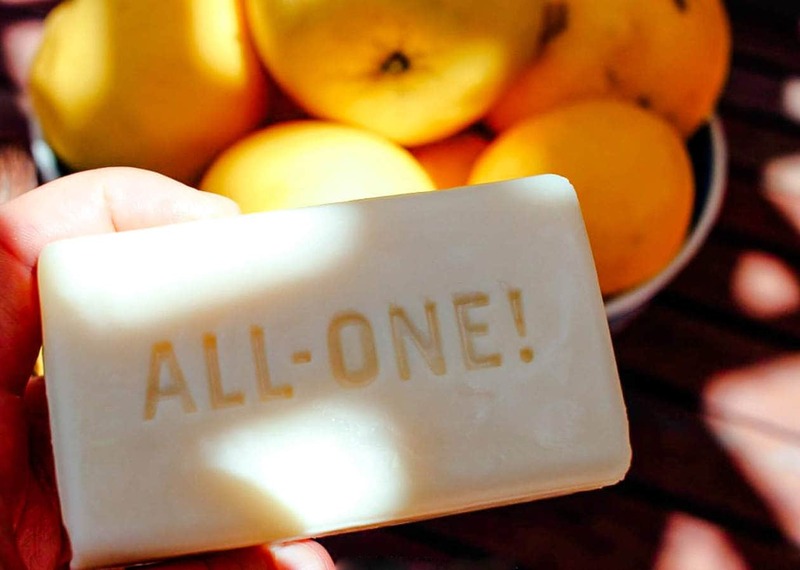 As with all of their products, the bar soaps are organic, fair trade and natural. The ingredients are comprised of mostly oils so it conditions your makeup brushes instead of drying them out. The Dr. Bronner’s bar soap is also my go-to for cleaning Beauty Blenders. The official Beauty Blender cleanser is great but it’s expensive and I go through it fast. I’ve tried cleaning them with other soaps but I noticed that it broke down the material and started to tear my sponges. Dr. Bronner’s Pure Castile Bar soap not only effectively cleans my Beauty Blenders but it doesn’t compromise the sponge whatsoever.. and it’s only $5. Disclaimer: This is not a sponsored post and I have not been contacted by the company in any way. 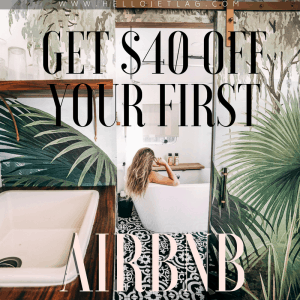 This post does contain affiliate links which means if you click on them and purchase something, I receive a small commission. All profits go toward helping me run this site, thank you for your support! Such an amazing company, I’ve never actually tried any Dr Bronner’s before, I will definitely actively seek them out!